Article 1 - Care of Rural Cemeteries. § 65-1: Repealed by Session Laws 2007-118, s. 2, effective July 1, 2007. § 65-2: Repealed by Session Laws 2007-118, s. 2, effective July 1, 2007. § 65-3: Repealed by Session Laws 2007-118, s. 2, effective July 1, 2007. Article 2 - Care of Confederate Cemetery. § 65-4. State Division of Adult Correction and Juvenile Justice of the Department of Public Safety to furnish labor. Article 3 - Cemeteries for Inmates of County Homes. § 65-5. County commissioners may establish new cemeteries. § 65-6. Removal and reinterment of bodies. Article 4 - Trust Funds for the Care of Cemeteries. § 65-7: Repealed by Session Laws 2007-118, s. 3, effective July 1, 2007. § 65-8: Repealed by Session Laws 2007-118, s. 3, effective July 1, 2007. § 65-9: Repealed by Session Laws 2007-118, s. 3, effective July 1, 2007. § 65-10: Repealed by Session Laws 2007-118, s. 3, effective July 1, 2007. § 65-11: Repealed by Session Laws 2007-118, s. 3, effective July 1, 2007. § 65-12: Repealed by Session Laws 2007-118, s. 3, effective July 1, 2007. Article 5 - Removal of Graves. § 65-13: Repealed by Session Laws 2007-118, s. 4, effective July 1, 2007, and applicable to all trusts created on or after that date. §§ 65-14 through 65-15. Repealed by Session Laws 1971, c. 797, s. 2. Article 6 - Cemetery Associations. § 65-17. Change of name of association or corporation. § 65-17.1. Quorum at stockholders' meeting of certain nonprofit cemetery corporations; calling meeting; amendment of charter. Article 7 - Cemeteries Operated for Private Gain. §§ 65-18 through 65-36: Recodified as §§ 65-46 through 65-72. Article 7A - Funeral and Burial Trust Funds. §§ 65-36.1 through 65-36.8: Recodified as §§ 90-210.30 through 90-210.37, by Session Laws 1985, c. 12, s. 1. Article 8 - Municipal Cemeteries. § 65-37: Repealed by Session Laws 2007-118, s. 5, effective July 1, 2007, and applicable to all trusts created on or after that date. § 65-38. Repealed by Session Laws 1969, c. 1279. § 65-39: Repealed by Session Laws 2007-118, s. 5, effective July 1, 2007, and applicable to all trusts created on or after that date. § 65-40: Repealed by Session Laws 2007-118, s. 5, effective July 1, 2007, and applicable to all trusts created on or after that date. Article 8A - Veterans Cemeteries. § 65-42. Location of cemeteries. § 65-43.1. Eligibility for interment in a State veterans cemetery. § 65-43.2. Proof of eligibility. § 65-43.3. Bars to eligibility. § 65-43.6. State veterans cemeteries cost. § 65-44. Days for burial. § 65-45. Reserved for future codification purposes.  Article 9 - North Carolina Cemetery Act. § 65-49. The North Carolina Cemetery Commission. § 65-50. Cemetery Commission; members, selection, quorum. § 65-52. Regular and special meetings. § 65-54. Annual budget of Commission; collection of funds. § 65-54.1. Commission records are confidential. § 65-55. License; cemetery company. § 65-56. Existing companies; effect of Article. § 65-57. Licenses for sales organizations, management organizations and brokers. § 65-58. Licenses for persons selling preneed grave space. § 65-59. Application for a change of control; filing fee. § 65-60.1. Trustees; qualifications; examination of records; enforcement. § 65-61. Required trust fund for care and maintenance; remedy of Commission for noncompliance. § 65-62. Individual contracts for care and maintenance. § 65-63. Requirements for perpetual care fund. § 65-64. Deposits to perpetual care fund. § 65-65. Trust fund; financial reports. § 65-66. Receipts from sale of personal property or services; trust account; penalties. § 65-67. Applications for license. § 65-68. License not assignable or transferable. § 65-69. Minimum acreage; sale or disposition of cemetery lands. § 65-70. Construction of mausoleums and belowground crypts; trust fund for receipts from sale of preconstruction crypts; compliance requirements. § 65-72. Burial without regard to race or color. § 65-73. Validation of certain deeds for cemetery lots executed by suspended corporations. Article 10 - Access to and Maintenance of Private Graves and Abandoned Public Cemeteries. § 65-74: Repealed by Session Laws 2007-118, s. 6, effective July 1, 2007, and applicable to all trusts created on or after that date. § 65-75: Repealed by Session Laws 2007-118, s. 6, effective July 1, 2007, and applicable to all trusts created on or after that date. § 65-76: Reserved for future codification purposes. Article 11 - Minimum Burial Depth. § 65-77. Minimum burial depth. § 65-78: Reserved for future codification purposes. § 65-79: Reserved for future codification purposes. § 65-80: Reserved for future codification purposes. § 65-81: Reserved for future codification purposes. § 65-82: Reserved for future codification purposes. § 65-83: Reserved for future codification purposes. § 65-84: Reserved for future codification purposes. Article 12 - Abandoned and Neglected Cemeteries. § 65-86: Reserved for future codification purposes. § 65-87: Reserved for future codification purposes. § 65-88: Reserved for future codification purposes. § 65-89: Reserved for future codification purposes. § 65-90: Reserved for future codification purposes. § 65-91. Money deposited with the clerk of superior court. § 65-92. Separate record of accounts to be kept. § 65-93. Funds to be kept perpetually. § 65-94. Investment of funds. § 65-95. Clerk's bond; substitution of bank or trust company as trustee. § 65-96. Funds exempt from taxation. § 65-97: Reserved for future codification purposes. § 65-98: Reserved for future codification purposes. § 65-99: Reserved for future codification purposes. § 65-100: Reserved for future codification purposes. § 65-101. Entering public or private property to maintain or visit with consent. § 65-102. Entering public or private property to maintain or visit without consent. § 65-103: Reserved for future codification purposes. § 65-104: Reserved for future codification purposes. § 65-105: Reserved for future codification purposes. § 65-106. Removal of graves; who may disinter, move, and reinter; notice; certificate filed; reinterment expenses; due care required. § 65-107: Reserved for future codification purposes. § 65-108: Reserved for future codification purposes. § 65-109: Reserved for future codification purposes. § 65-110: Reserved for future codification purposes. § 65-111. County commissioners to provide list of public and abandoned cemeteries. § 65-112. Appropriations by county commissioners. § 65-113. County commissioners to have control of abandoned public cemeteries; trustees. § 65-114: Reserved for future codification purposes. § 65-115: Reserved for future codification purposes. § 65-116: Reserved for future codification purposes. § 65-117: Reserved for future codification purposes. § 65-118: Reserved for future codification purposes. § 65-119: Reserved for future codification purposes. § 65-120: Reserved for future codification purposes. § 65-121: Reserved for future codification purposes. § 65-122: Reserved for future codification purposes. § 65-123: Reserved for future codification purposes. § 65-124: Reserved for future codification purposes. § 65-125: Reserved for future codification purposes.